HIStalk looks at the resurgence of house calls, aided in part by government-sponsored value-based care programs, a need for increased market share, and growing consumer demand for app-enabled convenience and pricing transparency. 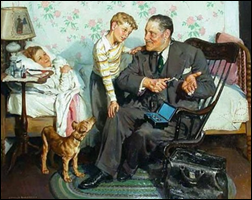 In today’s technology-driven society, the concept of the house call may seem quaint, evoking Norman Rockwell-esque images of the neighborhood physician toting his black bag down Main Street to Grandma’s house. Mobile health tools, however, are turning that image on its head as providers look to increase market share by increasing patient access points. While house calls have always been around to some degree, digital health startups like Pager, Heal, and PediaQ are putting a new spin on what it means to “go to the doctor.” Even more traditional home care companies like Visiting Physicians Association are placing more emphasis on the role technology plays in caring for the elderly and chronically ill, often with the aid of government-backed incentives. This new era of house calls is not without its detractors, however. Some physicians are quick to point out that patients can’t establish a true, trusting relationship with this new generation of house-call providers, and that care coordination will suffer. Others, especially those in more metropolitan areas, point to struggles for market share between the local health system, urgent care centers, and app-based house call companies. Consumers will likely have the last word, as their increasing insistence on convenience and easy access, plus heightened awareness of healthcare costs, leads them away from higher-priced health system monopolies into the arms of the more tech-savvy (but somewhat unproven) competition. Dallas-based PediaQ has made technology a core part of its business model. 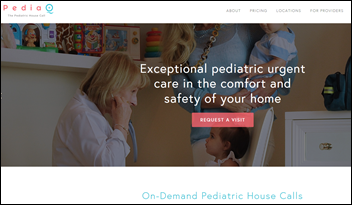 Founded in 2014, the app-based pediatric house call provider has raised $6.4 million to date and has already expanded beyond Dallas to three additional cities in the Lone Star state. 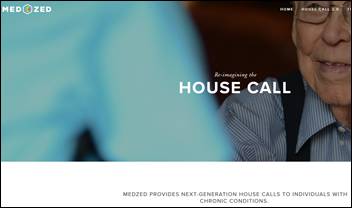 Technology has been crucial to the nascent success of Atlanta-based MedZed, which identifies itself as a telemedicine-enabled home care company that provides “21st century house calls” for high-risk and needy patients. “We decided we had to go into the home in order to service these people,” says MedZed co-founder and chief medical officer Neil Solomon, MD. “We were also well aware that it’s very expensive to pay a doctor or even a nurse practitioner to drive all over the place, especially in certain geographies that are either very spread out or have heavy traffic, like Los Angeles. You can only do maybe four or five visits in a day if you’re driving. It’s inefficient. Plus, there aren’t enough doctors to do this in order to scale this kind of business. “Our model utilizes telemedicine to make the delivery of care much more efficient,” Solomon says, adding that the first half of a MedZed visit is spent between a care provider and patient going over medications, screenings, and assessments, while the second half is spent on remote consult with a physician, all of which is documented in MedZed’s Drchrono EHR. MedZed seems to have distinguished itself from other modern-day house call companies in that it has written its own software for HIPAA-compliant video conferencing and logistics. 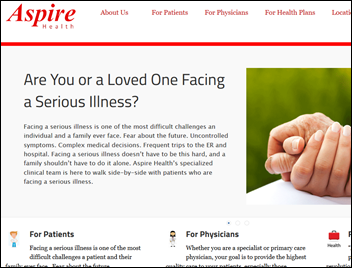 Founded in 2013 with high-profile help from former Senator Bill Frist, MD, Nashville, TN-based Aspire Health incorporates telemedicine as well as a number of other technologies into its business model, which focuses on home care for seriously ill and end-of-life patients. Aspire Health Chief Medical Officer Andrew Lasher, MD has seen technology make a tremendous impact on the company’s ability to provide compassionate palliative care to its patients in 11 states and Washington, DC. 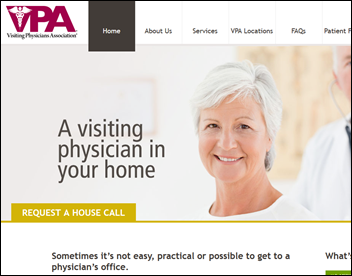 Home monitoring technologies are also in the cards for the Visiting Physicians Association, a key participant in the Independence at Home program for Medicare beneficiaries with complicated chronic health problems and disabilities. The pilot house call program, now in its second year, helped save Medicare $25 million in its first year thanks to reduced costs associated with improved medication adherence and fewer ER visits and hospital readmissions. Nine of the 14 participating practices, five of which are run by VPA, earned bonuses totaling nearly $12 million. While there’s no doubt that this new era of house calls is being fueled by technology, the industry-wide shift to value-based care – however slow it may be – is also helping things along. “Patients prefer to be at home when they can be,” Lasher says. “That’s especially true for patients with chronic or life-limiting conditions. They know that the hospital isn’t always the best place to be, and that the best treatment for them may occur in their home – treatments that can help them live longer and feel better. For Aspire, seeing our patients where they live is a real privilege. Value-based care is such an accurate statement, since, for the vast majority of our patients, their own personal values make it clear what kind of care they want, and how it should be delivered.